Aftermath/Shady/InterscopeEarlier this month, Eminem confirmed that he is scheduled to play London’s Wembley Stadium later this summer. Now, the rapper has revealed that he will be joined Odd Future’s Tyler, the Creator and Earl Sweatshirt as his opening acts. The rapper announced the news via Twitter on Thursday. Tyler also confirmed the performance in a video announcement, which was posted on Em’s Instagram. “Me and Earl Sweatshirt and the rest of Odd Future are gonna be with Marshall in London on two shows before he goes on,” he said in the brief clip. 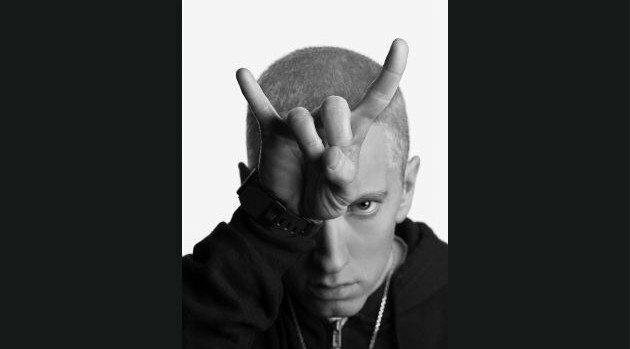 As previously reported, Em is the first rapper to headline Wembley Stadium, a 90,000-capacity venue. His shows there take place on July 11 and 12. Tickets for the first date are already sold out.